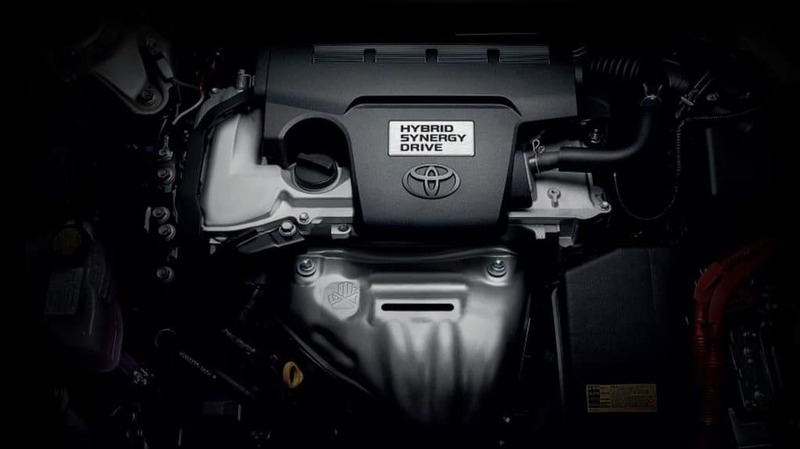 Home » Trends in Automobile » What is Hybrid Synergy Drive (HSD) – How it works ? HSD technology produces a full hybrid vehicle which allows the car to run on the electric motor only, as opposed to most other brand hybrids which cannot and are considered mild hybrids. The Synergy Drive is a drive-by-wire system with no direct mechanical connection between the engine and the engine controls: both the gas pedal/accelerator and the gearshift lever in an HSD car merely send electrical signals to a control computer. Toyota’s HSD system replaces a normal geared transmission with an electromechanical system. An internal combustion engine (ICE) delivers power most efficiently over a small speed range, but the wheels need to be driven over the vehicle’s full speed range. In a conventional automobile the geared transmission delivers different discrete engine speed-torque power requirements to the wheels. Geared transmissions may be manual, with a clutch, or automatic, with a torque converter, but both allow the engine and the wheels to rotate at different speeds. The driver can adjust the speed and torque delivered by the engine with the accelerator and the transmission mechanically transmits nearly all of the available power to the wheels which rotate at a different rate than the engine, by a factor equal to the gear ratio for the currently selected gear. However, there are a limited number of “gears” or gear ratios that the driver can choose from, typically four to six. This limited gear-ratio set forces the engine crankshaft to rotate at speeds where the ICE is less efficient, i.e., where a liter of fuel produces fewer joules. Optimal engine speed-torque requirements for different vehicle driving and acceleration conditions can be gauged by limiting either tachometer RPM rate or engine noise in comparison with actual speed. When an engine is required to operate efficiently across a broad RPM range, due to its coupling to a geared transmission, manufacturers are limited in their options for improving engine efficiency, reliability, or lifespan, as well as reducing the size or weight of the engine. This is why the engine for an engine-generator is often much smaller, more efficient, more reliable, and longer life than one designed for an automobile or other variable speed application. However, a continuously variable transmission allows the driver (or the automobile computer) to effectively select the optimal gear ratio required for any desired speed or power. The transmission is not limited to a fixed set of gears. The most efficient speed (RPM) for an ICE is often around 1500–2000 RPM for the typical power required to propel an automobile. An HSD vehicle will typically run the engine at its optimal efficiency speed whenever power is needed to charge batteries or accelerate the car, shutting down the engine entirely when less power is required. The HSD drive works by shunting electrical power between the two motor generators, running off the battery pack, to even out the load on the internal combustion engine. Since a power boost from the electrical motors is available for periods of rapid acceleration, the ICE can be downsized to match only the average load on the car, rather than sized by peak power demands for rapid acceleration. The smaller internal combustion engine can be designed to run more efficiently. Furthermore, during normal operation the engine can be operated at or near its ideal speed and torque level for power, economy, or emissions, with the battery pack absorbing or supplying power as appropriate to balance the demand placed by the driver. During traffic stops the internal combustion engine can even be turned off for even more economy.